I took this photo when I was in Prague. 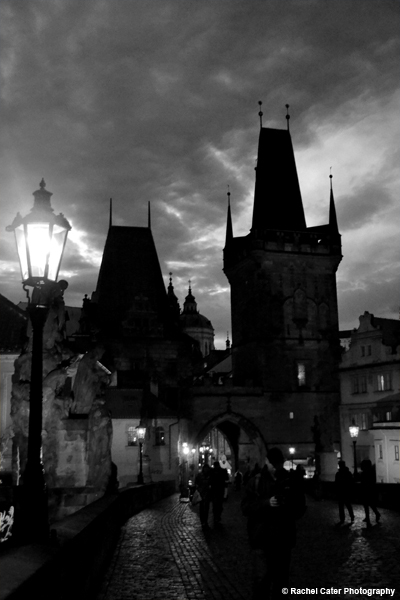 We were crossing Charles Bridge at night and it looked mysterious and mystical. I’ve traveled the world but there’s something very magical about this place. Love the black and white photo! Thank you :). The architecture is amazing there. It really is a beautiful place.